Another juicy little powerhouse found this time of year at local farmers markets. Unfortunately, we often find these little beauties peeled and floating in cans of sugar laden syrup. YIKES! 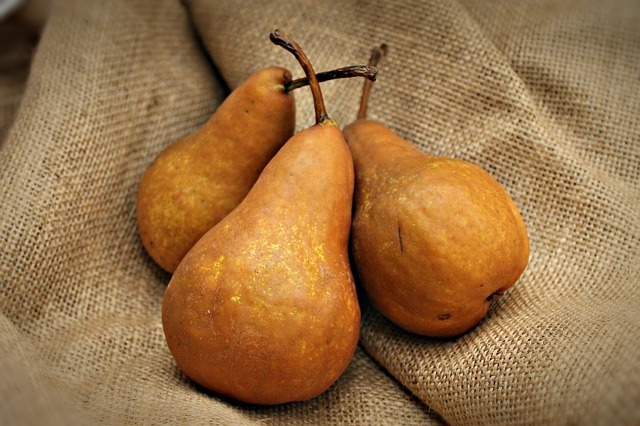 There are many varieties and colors of pears that can be used in sweet and savory recipes throughout the year. Any pear you choose is waiting to deliver you with a healthy nutrition blast that’s accompanied by a sweet and delicious taste. Pears are versatile. For example, you can quickly turn pears into a tasty baked snack chip, see recipe in resources area below. Pears are often found in smoothies, jams, crumbles, salad dressings, vinaigrettes, fruit leather, compote, chutney, wine and more. I’ll say it again. Don’t peel me bro! The skin on pears contains antioxidants, flavonoids, and phytonutrients that fight cancer, inflammation, and oxidative damage. When you peel them, they lose a majority of their super powers! Some of the flavonoids in pear skin can actually improve how the body utilizes insulin, so eating them regularly can help maintain healthy blood glucose levels. 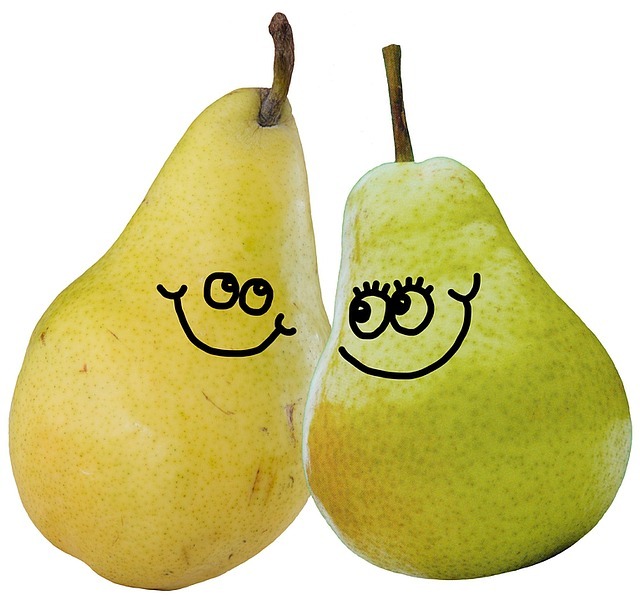 Pears can help keep your bowels regular with all of the fiber and water they contain. Whole pears contain an amazing number of phytonutrients that are known for lowering the risk of heart disease and type 2 diabetes. The phytonutrients are: hydroxybenzoic acid, hydroxycinnamic acid, hyrdroxyquinone, flavanol, carotenoid, and, if they are red-skinned, anthocyanin. Eating a whole pear, skin and all, is best for your body. However, if you buy pear juice, make sure it is NOT strained or else you’ll lose all of the wonderful health benefits of the pulp. Now, it's time to go pick up a pair of pears and give them a try today.